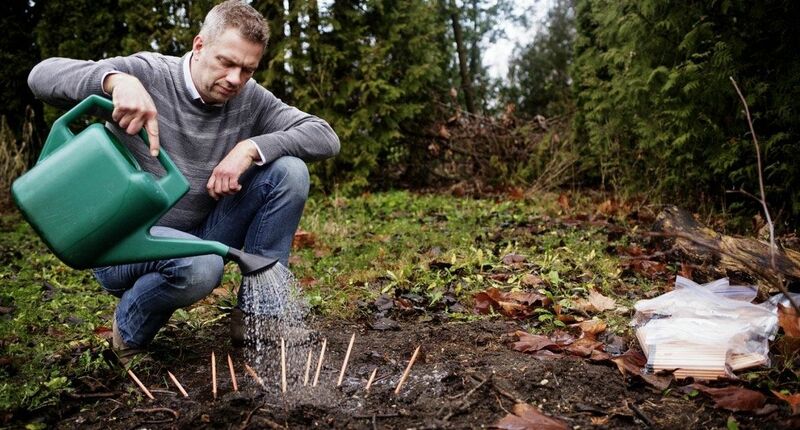 Old wooden pencils can now turn back into plants, thanks to the startup Sprout World. Based outside Copenhagen, the company makes writing implements and business cards that, when planted in soil, grow into herbs, vegetables or flowers. The idea is to inspire people to think more about where products come from and what happens when they’re no longer useful. So far, people seem to be digging Sprout’s sustainable pencils. The company, which launched in 2014, says that sales are increasing. “We as individuals know we cannot save the planet, but we can do things little by little, we can take small steps in our everyday life,” Michael Stausholm, Sprout’s chief executive, told The Huffington Post by phone in a recent interview from Taastrup, the Danish suburb where the company is based. “That’s what people have in mind when they buy a Sprout pencil — you can feel you can make a difference by buying something you don’t have to throw out afterward, but plant it instead to give it a new life,” Stausholm added. It’s a simple concept. Instead of an eraser, each pencil has a seed capsule on one end. The capsule contains one of several varieties of plants — herbs like basil or rosemary, flowers like marigolds or roses, vegetables like green peppers, and so on. Once the writing end of the pencil is all used up, you just stick the capsule end in some soil and water regularly. The seed should germinate within 1 to 3 weeks, the company said. The concept of a plantable pencil was developed in 2012 by three students at the Massachusetts Institute for Technology. Sprout purchased the idea two years later. The young company says its sales hit $2 million last year. It expects that figure to double by the end of this year. Disney, Ikea, Marriott and Bank of America are all clients, buying the pencils in bulk as a gift-bag novelty. Individuals can also buy the pencils on Sprout’s site, in Whole Foods Supermarkets and on Amazon, where customers have given the pencils a near-perfect rating. Sprout pencils sit in a jar with their seed capsules sticking out. Contrary to conventional wisdom, computers haven’t rendered pencils completely obsolete. Sales of the writing implement were on pace to increase about 4 percent last year, The Wall Street Journal reported. The roughly 15 billion wooden pencils produced worldwide each year use about 60,000 trees — which, as logs laid end to end, would stretch from Cancun to New Orleans, according to the sustainable goods site Pristine Planet. By contrast, about 4 billion of the 15 billion trees felled each year are used to produce paper. Sprout, at least for now, doesn’t include seeds for the sort of cedar pines used to make most of the 3 billion pencils produced in the U.S. each year. So using a Sprout pencil doesn’t quite serve as a model for addressing deforestation. Michael Stausholm is growing a garden from these pencils. The wood used to make Sprout pencils in Europe comes from tree farms certified by the nonprofit Forest Stewardship Council. In the U.S., whereStausholm said it’s harder to find FSC-certified forests, the company buys wood from farms verified by the Programme for the Endorsement of Forest Certification, a Swiss nonprofit that functions similarly to the FSC but carries less prestige. Stausholm said the company aims to use 100 percent FSC-certified wood in the future. The same goes for the seeds included in its pencils. The company currently sources seeds from three different organic farmers, but it plans to pare that down to just one supplier.